1. How did the political, economic, and social realities at the end of World War II, which led to the emergence of the Cold War, also lead to the creation of a Three World Order? 2. Why did the Cold War break out, and how did it affect the U.S., the U.S.S.R., Europe, and specific countries and former colonies in Asia, Africa and Latin America? We have also mapped out a list of lessons, with focus questions and teaching theses. Here is the current working outline: Cold War Unit Outline Combined My colleague, Beth Slutsky, has put together teams of scholars and teachers to design each lesson. The scholar (a professor or graduate student) is responsible for outlining the historical content of the lesson, locating the best primary and secondary sources, and reviewing the lesson. The teacher is responsible for designing the lesson activities, incorporating activities to develop the students’ Common Core skills, and revising the lesson after it is reviewed. These scholars and teachers are excellent, and we are very pleased at the prospect of working with them. The Common Core standards emphasize close reading of sources, careful analysis of perspective, use of evidence, and development of writing skill. We can incorporate that skill development at 3 points throughout the lessons: when students read and analyze primary sources, when students write using arguments and evidence from sources (either in full essays, or shorter pieces) and when we emphasize vocabulary or break down complex text to make it more understandable for English learners and others who read below grade level. In the first lesson, “The Origins of the Cold War,” we will have students analyze documents from both sides in the Cold War. Some students will find these sources difficult to read; we will offer support to build their academic literacy. Using sentence deconstruction to guide students through particularly complex and important sentences increases their understanding and provides the basis for more sophisticated discussion after the students all understand what the text says. “It would be an unspeakable tragedy if these countries, which have struggled so long against overwhelming odds, should lose that victory for which they sacrificed so much. Collapse of free institutions and loss of independence would be disastrous not only for them but for the world. Discouragement and possibly failure would quickly be the lot of neighboring peoples striving to maintain their freedom and independence. To understand the allusions in this passage, a student would not only have to understand what Truman meant by “West” and “East,” “free institutions” and “neighboring peoples,” but also his allusion to the Greek resistance in World War II, in the phrases “struggled so long against overwhelming odds” and “sacrificed so much.” The following sentences reflect the “Domino Theory,” and employ the imagery that surrounded the concept of “containment.” The construction of the sentences is not simple, particularly for an English Learner. Guiding students through the document so that they will slow down, notice the phrases, and then analyze how these sentences contribute to Truman’s argument gets at Common Core Standards RH 4 (Grades 11-12): “Determine the meaning of words and phrases as they are used in a text, including analyzing how an author uses and refines the meaning of a key term over the course of a text,” and RH 5: “Analyze in detail how a complex primary source is structured, including how key sentence, paragraphs, and larger portions of the text contribute to the whole.” This kind of analysis only works if the teacher guides the students through the document and trains them in the Common Core skills required. This is just one example of the kind of Common Core activities we will incorporate in the Cold War unit. I’ll post updates on our progress as we move forward. Our goal for the Cold War unit is to provide teachers with the primary sources, the literacy support and the activities they need to help their students master the Common Core standards along with their historical understanding. The unit will be ready for field-testing in April. It will be available for a free download at our website: historyblueprint.org. “President Harry S. Truman, Address Before A Joint Session of Congress, March 12, 1947,” Internet Modern History Sourcebook, ed. Paul Halsall, 1997, http://www.fordham.edu/halsall/mod/1947TRUMAN.html (accessed Sept. 7, 2012). 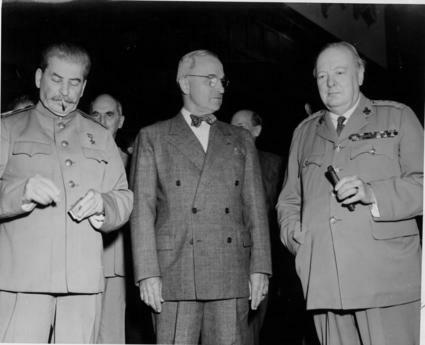 “Truman, Stalin, and Churchill during the Potsdam Conference, July 17, 1945,” Harry S. Truman Library and Museum, Accession no. 63-1454-48, http://www.trumanlibrary.org/photographs/displayimage.php?pointer=12836 (accessed Sept. 7, 2012). 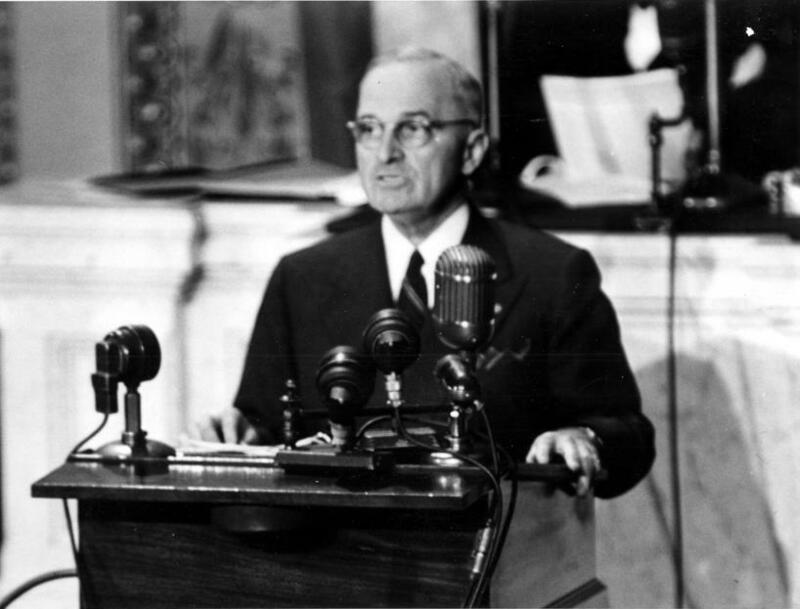 “President Truman delivers Truman Doctrine speech before Congress, March 12, 1947,” Harry S. Truman Library and Museum, Accession no. 59-1252-2; http://www.trumanlibrary.org/photographs/displayimage.php?pointer=14684 (accessed Sept. 7, 2012). 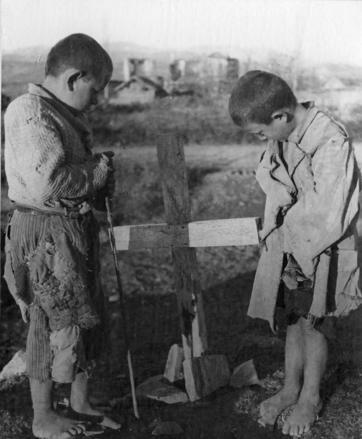 “Orphaned Children in Greece, 1947,” Harry S. Truman Library and Museum, Accession no. 67-1647, http://www.trumanlibrary.org/whistlestop/study_collections/doctrine/large/index.php(accessed Sept. 7, 2012).